Clean Drinking Water Should Not Be Considered A Luxury. Yet for the Indigenous people, the true Native Americans, protesting to keep the Dakota Pipeline out of their sacred grounds (the little ground they have left) we are telling them it is. Clean Drinking Water Should Not Be Considered A Luxury. Yet for every man, woman and child living in Flint, MI we are telling them it is. Clean Drinking Water Should Not Be Considered A Luxury. Yet according to a June article on Esquire’s website 32 cities BESIDES Flint in the United States are being told it is. 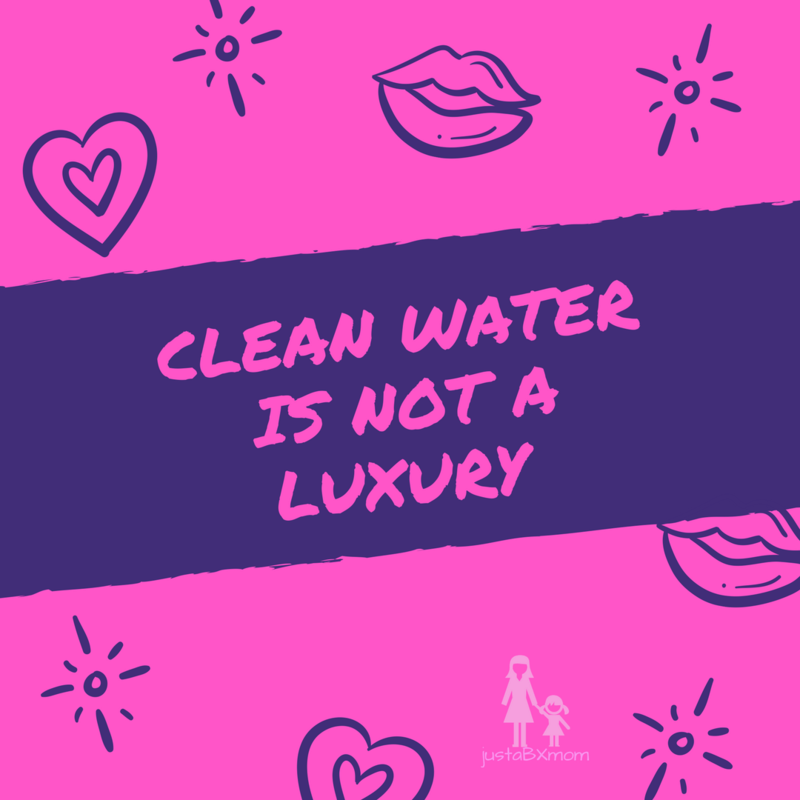 Clean Drinking Water Should Not Be Considered A Luxury. Yet this week I have learned about not one, not two, not even three but FOUR New York City public schools in the Bronx that are telling it’s students and their families that it is. This is not okay. None of it is okay. Why are we not in an uproar over this??? Any of it??? I am super stressed on selecting the right Pre-K for JustaBXgirl. Never once did it cross my mind that the drinking water might not be safe. We live in NYC. I always here how good our tap water is. I always hear and read how safe it is to drink. Yet, a school barely a mile away from me was found to have higher lead rates than the drinking water in Flint, MI. Is the school closed? Nope. Parents were sent home a letter saying that children shouldn’t use the water from three of the faucets? Are you kidding me? One of the faucets with the high lead count was found in the cafeteria! Why is this not national news? How many schools across the country is this happening in? The article I saw named two schools (P.S. 41 and I.S. 158). When I shared the article on my personal Facebook page two moms I know shared with me that they received letters from their children’s schools stating that lead was found in their schools too. What is Betsy Devos going to do to guarantee that our children have clean drinking water? What are our politicians? What are our parents? What can you do? What can I do? I can tell you one thing. This has me even more nervous about sending my child to school. This has me thinking that I don’t want my child to ever wash her hands while at school, drink from a water fountain or eat food prepared from the school’s kitchen. It would have me questioning the water that comes out of our faucet at home but JustaBXgirl just had a blood test for lead at her recent wellness exam. If this is happening in so many schools than the schools need to be shut down and the piping needs to be replaced. One of the schools has already had $400,000 earmarked from city council to begin rectifying the situation. That school has a politician’s child attending it. We can’t be silent on basic human needs. Clean Drinking Water Should Not Be Considered A Luxury. Let’s fix out schools water systems. Let’s fix Flint and the other cities with unsafe water and let’s keep the oil pipelines away from sources of drinking water. I saw your posts about this on Facebook. This is sad. I agree, everyone should have clean drinking water. Increased lead levels in kids can lead to developmental and behavioral issues. Don’t get me started on Ms. Betsy. Ugh I can’t believe she happened.